The body produces heat which must be lost to the environment. The interface between this heat production and the environment is the skin so the body depends on heat transfer from the skin for thermoregulation. 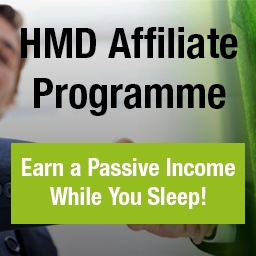 Is very cost-effective, risk free as it uses no harmful radiation and provides you with instant images. Arthritis - can help in its early detection and can differentiate between osteoarthritis and rheumatoid arthritis. Dental Issues - thermography can also detect TMJ, gum disease, infected teeth, NICOs and other dental issues that are precursors to many other serious diseases. Sinusitis and Headaches - there is often a relationship between headaches and sinusitis - the thermography scan will show this very clearly. Immune Dysfunction, Chronic Fatigue and Fibromyalgia - when there is inflammation detected by thermography in the Thoracic spine areas of T1 and T2 this correlates well with immune system dysfunction. Digestive Disorders - thermography can often see IBS, diverticulitis and Crohn's Disease and correlate these with other inflammatory issues in the body. Over 30 years of research comprising over 800 peer-reviewed studies on breast thermography exist in the index-medicus literature. When used as part of a multimodal approach (clinical examination + mammography + thermography) 95% of early stage cancers will be detected. Thermography - is a non-invasive, diagnostic imaging procedure involving the detection and recording of cutaneous thermal patterns using instruments which can provide visual and quantitative documentation of these temperature measurements. Because thermography detects pathophysiologic changes in cutaneous temperature, it may be used as an integral part of the physical examination or, alternatively, as an adjunct to that examination. The interpretation of these temperatures and thermal patterns can be important in the development of a diagnostic impression. Thermography is appropriate and germane to any healthcare practice whenever the treating professional feels a physiological imaging test is needed for diagnosis or case management. It provides information about acute as well as chronic conditions and can be useful in distinguishing aggravated from residual tissue injury. Thermography is an imaging technology which provides information on the normal and abnormal functioning of the sensory and sympathetic nervous systems, vascular dysfunction, myofascial trauma and local inflammatory processes. 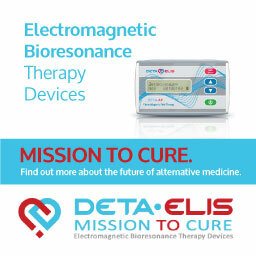 It may contribute to a diagnosis and case management by aiding in the determination of the site and degree of lesion, the type of functional disorder and the prognosis for treatment outcomes, as well as assisting in the determination of the most effective course of treatment through continual case evaluation. Thermography is a safe and effective means for evaluation of vasomotor instability due to irritation or injury of spinal roots, nerves or sympathetic fibers. It is to be considered an adjunctive test and not solely diagnostic except in cases of reflex sympathetic dystrophy. 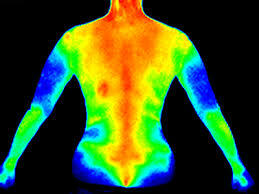 While one cannot extend the technique of thermography to indicate the central phenomena of perception of pain, it is useful in detecting associated 'vasomotor instability and complex pain states associated with arthritis, soft tissue injuries, low back disease or reflex sympathetic dystrophy and does provide objective data to identify dysfunction in roots that are irritated in the spine, peripheral nerves that are irritated and damage to the sympathetic nervous system. 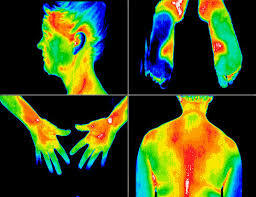 The diagnosis of neurological and musculoskeletal abnormalities by thermography is based on associated thermal asymmetry between normal and abnormal sites, a change in normal temperature gradients in limbs or between medial and lateral digits, or a disturbance of the normal physiological temperature distribution pattern. Physiological Basis When conditions of the vascular arterial, venous, and lymph, and the skin conditions are normal, then the major control and regulation of the dermal circulation is neurovascular. The neurovascular control of the skin is the sympathetic nervous system. The components of this sympathetic response, however, are both adrenogenic and cholinergic. The adrenogenic portion produces vasoconstriction and the cholinergic portion produces vasodilation in the cutaneous microcirculation. Regulation of this cutaneous circulation is from the embryonic anterior neural ridge, which produces the sympathetic paravertebral ganglion. The postganglionic fibres connect with each and every organ of the body as well as to the skin. When the 31 pairs of peripheral nerves are established, their content is anywhere from 8 to 35 percent unmyelinated fibres, which are of the sympathetic afferent or efferent function. These fibres are responsible for the control of this dermal microcirculation. Each of the spinal nerves has a dorsal and ventral division, and the cutaneous territory of a given peripheral nerve is ascribed by these divisions with their subsequent distal divisions. The ventral division of a peripheral nerve having a lateral division, as well as an anterior division, with its subsequent control over a designated territory. Skin territorial blood flow control is by way of these peripheral nerve conduits carrying the unmyelinated postganglionic fibres to the neurovascular receptors in the skin. Blood flow allows core temperature to come to the surface or not, and will change the temperature of the skin territorially. Each area of the body has a particular cutaneous-cordal connection by the sympathetic nervous system. The alteration of the thermal content of a territory occurs based upon alterations of this nervous control. Only the dermal blood flow changes explain the heat seen on the surface of the body. The heat of a muscle, joint, or a bone is not conducted to the dermal tissues and cannot influence the dermal temperature recorded by thermography. Conduction of heat from the deeper portions of the body to the surface does not occur or create changes in the surface temperature. However, there are neurochemical processes in the dermis which can block the normal sympathetic control of blood flow in the skin, such as histamines, prostaglandins, and myovascular receptor inhibitors of mast cells. These, however, can be easily differentiated from neural control by clinical correlation. Areas of the surface of the body are recorded as symmetrical. The frontal areas, the thumbs, the great toes, the knees, the buttocks, the posterior shoulders should be contra laterally symmetrical and isothermic. If there is a difference, it is described as a delta T and means simply the difference in temperature. In order to interpret thermographic patterns, one must know the normal pattern. The normal pattern of the skin surface is symmetrical, and it is thought that the 95 percentile range in the normal subject deviates less than 0.3° C. Uematsu and others have established the normal patterns of the human surface temperature. Relationships of various areas one to another must be learned. The hands are usually colder than the shoulders. The buttocks and the feet are the coldest in the lower body, followed by the anterior knees. The thenar side of a given hand is usually warmer than the hypothenar, and the fingers are cooler than the palm. It has been shown that the surface temperature of the human body is symmetrical. It is a reflection of blood flow in the dermal microcirculation, and the control of this microcirculation is autonomic and specifically, sympathetic. The major basis of clinical thermography is the correlation of temperature recordings with various conditions from disease and injury as it relates to autonomic function. 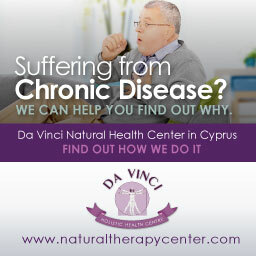 Digital Infrared Thermal Imaging (DITI) is practiced at the Da Vinci Holistic Health Centre in Larnaca. 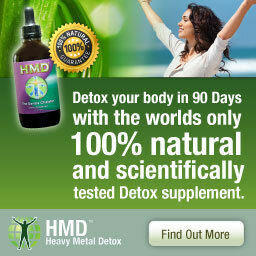 Images of the appropriate areas of the body are taken and sent to a team of specialist M.D. Thermologists in the USA. The images are analyzed and a full report is written and returned to the patient. 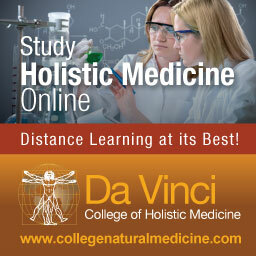 The Da Vinci Holistic Health Centre has been approved by the American College of Clinical Thermlogy (ACCT). 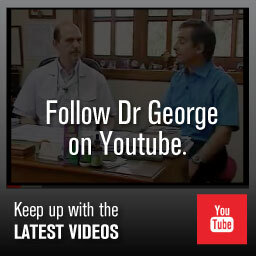 Dr. Georgiou is a member of the American College of Clinical Thermology and a Certified Thermographer, a naturopath and has a Doctor of Science in Alternative Medicine. FURTHER READING: What is Breast Thermography? Breast Screening Procedure Thermography Screening for SARS VIDEOS TO WATCH: Advantages of Breast Thermography Dr Mercola Talks About Mammograms Seeing Is Believing!